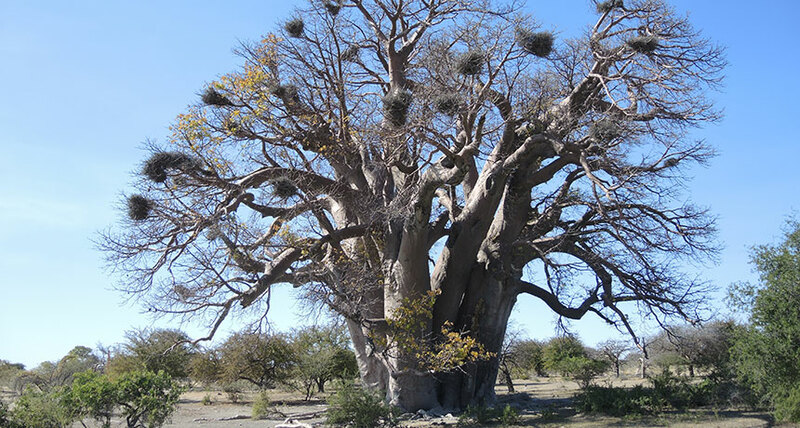 BEFORE THE FALL African baobab trees may be in trouble. After living some 1,400 years, this specimen in Botswana — called the Chapman tree — toppled and died in 2016. The last 13 years have been terrible for ancient African baobab trees. Nine of the 13 oldest either lost trunks or died altogether after having lived for longer than a millennium, researchers report June 11 in Nature Plants. But just what the demise means for the iconic species is up for debate. The Adansonia digitata species of the baobab group is the longest-living kind of flowering tree. With its mass of skinny branches dividing like rootlets over a fat trunk, the species sometimes gets teased as an upside-down tree. Long-stemmed brown fruits also encourage the nickname “dead-rat tree.” Yet people have long cherished the giant baobabs for food, medicine and spiritual value. Of the 13 oldest known A. digitata, four have died since 2005, says study coauthor Adrian Patrut, who specializes in inorganic and nuclear chemistry at Babeş-Bolyai University in Cluj-Napoca, Romania. Five others of these ancient trees across the African continent have lost enormous chunks of their multiple trunks, Patrut and his colleagues report.